We hope that you feel comfortable and relaxed as soon as you walk in. When you're here, you are family! 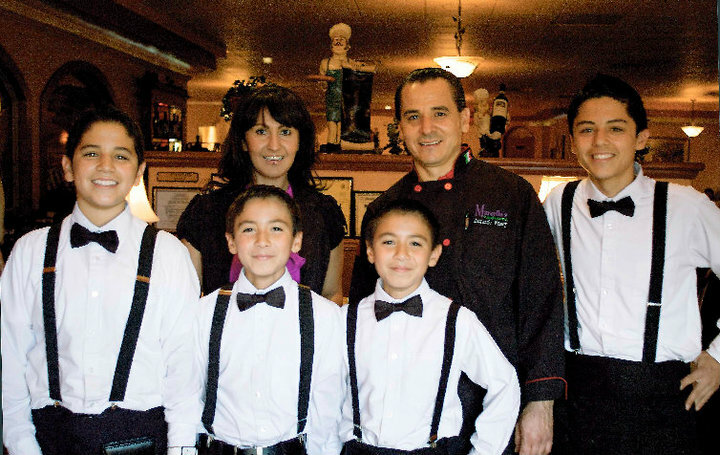 For more than a decade, our family has served the Yuba-Sutter community the finest Italian fare featuring steaks, pizzas, and of course pasta! We pride ourselves on serving you with a smile and hope that you feel comfortable and relaxed as soon as you walk in. Fresh mozzarella, roma tomatoes and fresh basil. Mozzarella cheese, ham and pineapple. Pepperoni, Italian sausage, bell peppers, mushrooms, olives, onions, tomatoes and Marcello's zesty pizza sauce with mozzarella cheese. A delicious treat! Grilled chicken, artichoke hearts, green onions, Italian herbs and mozzarella cheese over Marcello's creamy alfredo sauce. Artichoke hearts, bell peppers, mushrooms, olives, onions, tomatoes, zucchini, Italian herbs and spices, Marcello's zesty pizza sauce, mozzarella and parmesan cheeses. Fresh vegetables, beans and pasta in a tomato base broth. Medium spicy sausage, russet potatoes, bacon bits and onion in a light creamy broth. Octavio has been making world-class food for over 35 years. He and his family have owned Marcello's since 2005. He and his team pride themselves on serving you with a smile. Come and experience Marcello's for yourself! ©2019 Marcello's Italian Restaurant. All Rights Reserved.